If you want to start wearing hard bottom shoes but find it hard to part with your comfortable sneakers, try opting for desert boots instead. 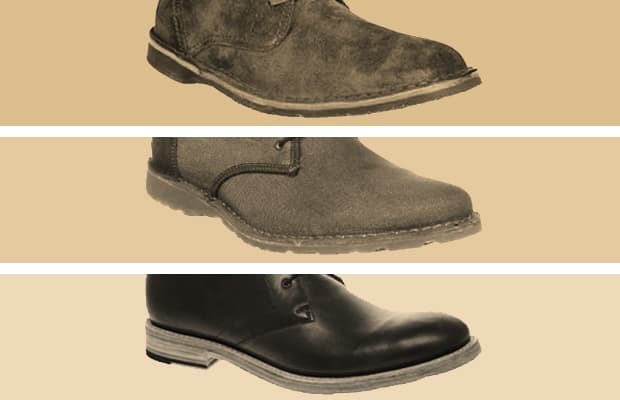 Worn by British officers during World War II, desert boots have maintained their rugged-yet-sleek appeal throughout the years. Usually made of suede or leather, these badboys can be worn with jeans or khakis to get that more mature and season-appropriate aesthetic to your look. From Clarks to rag & bone, peep our 10 Best Desert Boots for Spring 2011 so you sneaker fiends can make a seamless transition.